Have you ever visited Dollywood in the fall? Dollywood is a wonderful place to visit at any time of year, but the fall is a really special time to go with your family. Dollywood's Harvest Celebration is an annual tradition that features Southern Gospel music, spectacular pumpkin displays, and talented artisans making handmade crafts. Our Ramada hotel in Pigeon makes a perfect Smoky Mountain getaway near Dollywood. You'll love the Southern hospitality and well-equipped rooms and suites with plush beds, flat-screen TVs, and high-speed wireless Internet. Throughout the entire month of October, Dollywood will be hosting some of the best-known gospel acts in the country. Don't miss the largest gospel event in the nation! All of the concerts are free to attend. Prepare to be wowed by Dollywood's newest fall attraction! Marvel at thousands of glowing pumpkins, artistic sculptures, and take part in fun pumpkin-themed games that the whole family will love. There's even a Glow Maze and specialty foods like pumpkin funnel cake. 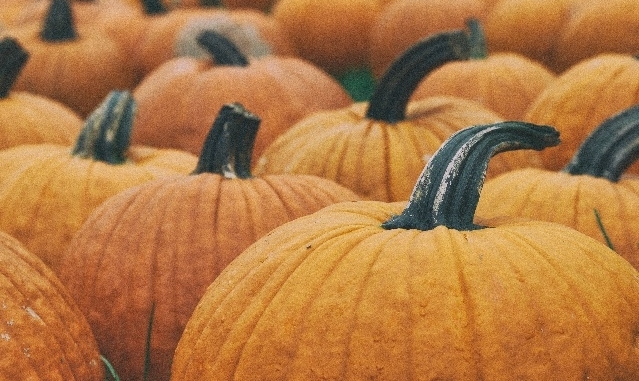 Learn more about Great Pumpkin LumiNights. Unique artisans from around the country come to Dollywood every fall for the festival. You can browse their handmade gifts and wares to find something to bring home. The festival runs from September 29th to October 28th and is included with your Dollywood admission. Our Tenessee hotel is a short drive from this popular Pigeon Forge attraction. Check out our Dollywood Vacation Package to find out how you can save on your fun fall vacation to the Smoky Mountains!